This brass trio is often described with a single word: fun! 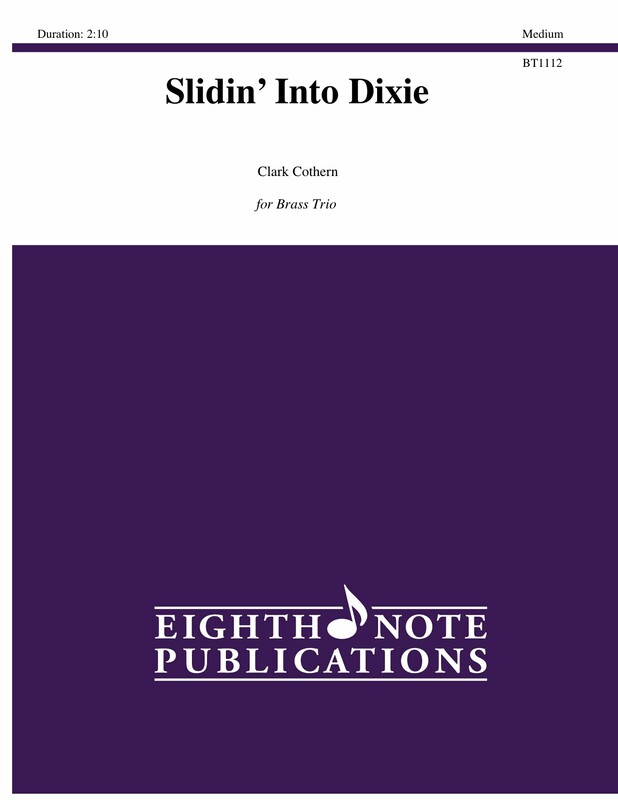 Sliding Into Dixie is a cleverly arranged, triplet feel, original Dixie style tune. Each of the three players has been given something challenging and enjoyable as they are encouraged to let their Dixieland playful side loose a bit.